Oh, I wish you would offer that class somewhere up here in the northern end of the state! I would love to take it. My grafts I did last year for the first time following a video mostly failed. If you ever offer it or hear of someone else holding such a class, please let me know. It’s warming up - and stone fruit trees are waking up . . . here in southeastern VA. 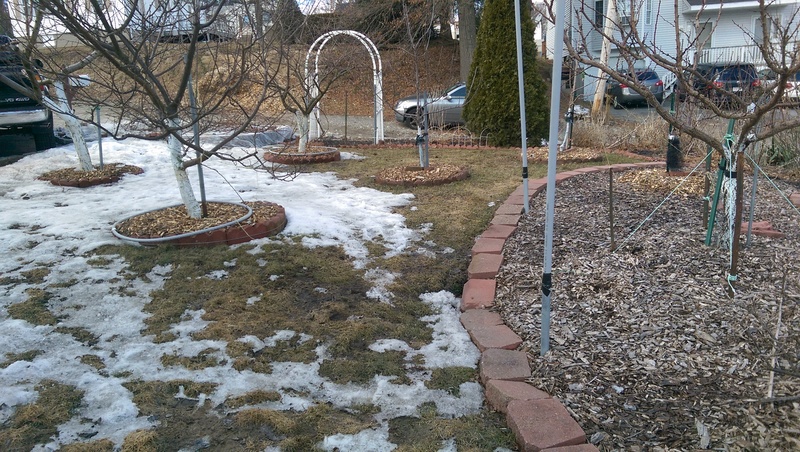 I pruned the height out of some of my peaches and plums - planted last spring. This is what I like to do with the ‘leftovers’. I ‘force them’. We enjoy them, as they bloom indoors . . . and they make very cooperative ‘models’ for my oil paintings, as well! I’ll post a painting when complete. Happy Spring, everyone! 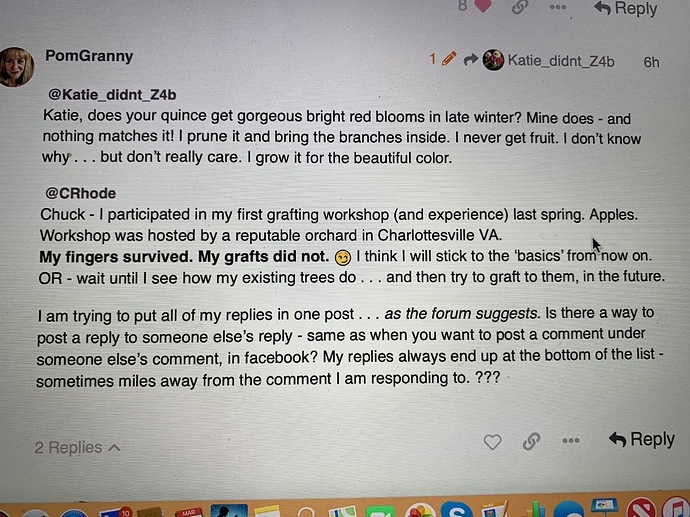 Katie, does your quince get gorgeous bright red blooms in late winter? Mine does - and nothing matches it! I prune it and bring the branches inside. I never get fruit. I don’t know why . . . but don’t really care. I grow it for the beautiful color. Chuck - I participated in my first grafting workshop (and experience) last spring. Apples. 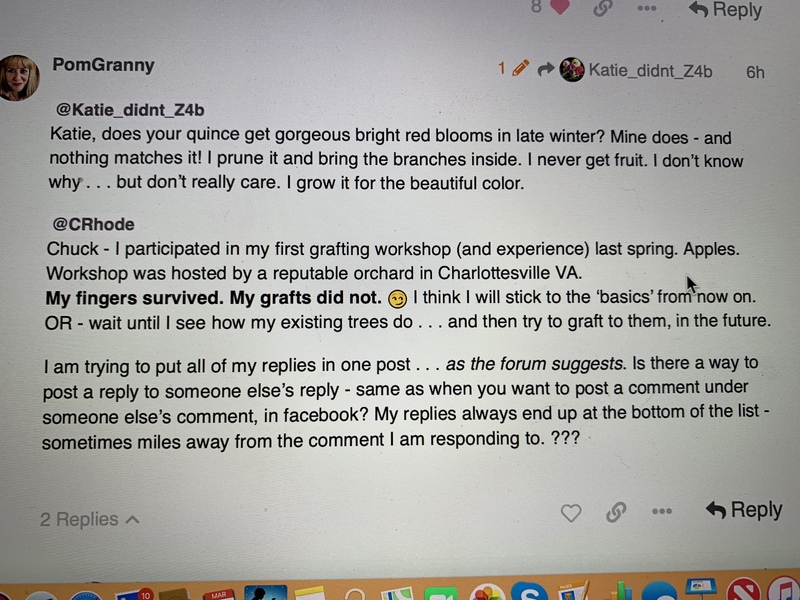 Workshop was hosted by a reputable orchard in Charlottesville VA.
My fingers survived. My grafts did not. I think I will stick to the ‘basics’ from now on. OR - wait until I see how my existing trees do . . . and then try to graft to them, in the future. I am trying to put all of my replies in one post . . . as the forum suggests. Is there a way to post a reply to someone else’s reply - same as when you want to post a comment under someone else’s comment, in facebook? My replies always end up at the bottom of the list - sometimes miles away from the comment I am responding to. ??? My fingers survived. My grafts did not. Well, there are a number of things that can go wrong and a number of factors to get right. You have to hand it to the wood cutter in central Asia and the merchant traveling up and down the Silk Road who first got their heads together and decided they could market not only fruit but also the trees that grew it. There’s been nothing much new since then. People who give these grafting presentations cover these basics and hope everyone has at least enough success to stay interested. Compatibility. Apple scions on apple roots. Pear on pear. Stone fruit is a little more complicated. Timing. Keep scionwood dormant. Use dormant root for bench grafting or wait until outdoor trees are just leafing out for branch grafting. Do bud grafting while the bark slips in the spring. Utensils. These must be sharp and clean. Don’t bruise the plant tissue and don’t touch the cut surfaces. Union. Cambium tissues of scion and root must come together. Scions and roots are rarely exactly the same diameter. Scion should be the smaller and offset to one or the other edge of the root. Don’t get hung up about exactly what kind of joint to use. I expect the old guys along the Silk Road tried a lot of different things. Use a joint that maximizes the length of the tissue that touches. Seal. Hold the wound in position and protect the scion from drying out until the graft fuses. Keep the scion to a respectable size (two to four buds), and seal the cut end, too. Nursery. Bench grafts are tender and need tender attention. Pot indoors during the winter and set out after weather improves. As soon as the scion leafs out, rub out all the buds on the root. … and, if at first you don’t succeed, don’t destroy the living rootstock. Let it grow a year, and try grafting a new dormant scion after the root leafs out the next spring. I felt that yesterday was colder than today because of the wind gust. I did not last too many minutes outside yesterday. Also, the yard is so wet and mushy. I have not pruned anything yet. Hopefully, I could start later this week. Like your indoor peach “tree” @PomGranny. Mine are just now starting to show some small buds and tiny green leaf tips. I am trying to put all of my replies in one post . . . as the forum suggests . Is there a way to post a reply to someone else’s reply - same as when you want to post a comment under someone else’s comment, in facebook? My replies always end up at the bottom of the list - sometimes miles away from the comment I am responding to. ??? If I understand what you’re asking, if you want to reply to a particular post, hit the white “<- Reply” icon on the bottom right of the person’s post. You obviously know how to do that, or your replies wouldn’t show up. To enable you to do this, click on your Settings, then Interface, then make sure the “Enable quote reply for highlighted text” box is checked. Save your settings, and you’re ready to go. Click on the white <-Reply icon on their post. Then select the part of the post you want. If on a tablet, try to touch and hold on the screen where you want the quote to start. You should get a couple of responses, you will see two blue cursors under the word you selected, and a gray ("Quote) icon. To expand the quote, move the left cursor and right cursor where you want. When you move the cursors, more words will become highlighted. When you have all the quote you want, press the gray "Quote icon, and it will paste it to your reply post. You should then see the person’s avatar and name, and the quote in your post. Clear as mud! Hope this helps. If I reply to your reply, does Pom get a notification for this also? Or do I need to at (@) her? Just as a question like she had about how the reply structure works, lol. If you hit the reply button to her post it will notify her of your reply…as long as she is not muting the post. Underneath her post on the left hand side it will say how many replies have been made and you can click on that to bring all the replies to that post together for viewing. Hmm, I don’t see that on the left. I’m using Android on the web page. I see the heart, a share icon, then three dots that open to flag and bookmark icons. Oh, the reply where it doesn’t show the avatar has been confusing me! I thought I didn’t know how to reply or something. I don’t see that on my phone either but it is on my non mobile Mac. So guess the format makes a difference what you see. If you reply before someone else posts then it does not do this and I think that confuses me sometimes because I’m not always sure it’s a reply to my post or just a reply to the thread. There is usually an avatar of the person you are replying to the right above the reply and you can click on that to see the post that it is a reply to. Anyone who gets a reply from someone will get a notification of it, unless they have it muted. If you reply to someone who has the last post in the thread, it won’t show their avatar in your reply. If it is one or more posts above the last one, it will. I asked @scottfsmith about this and we did a little experiment to test it oot. It’s just a little idiosyncrasy of the system. Yes, yard is very mushy. 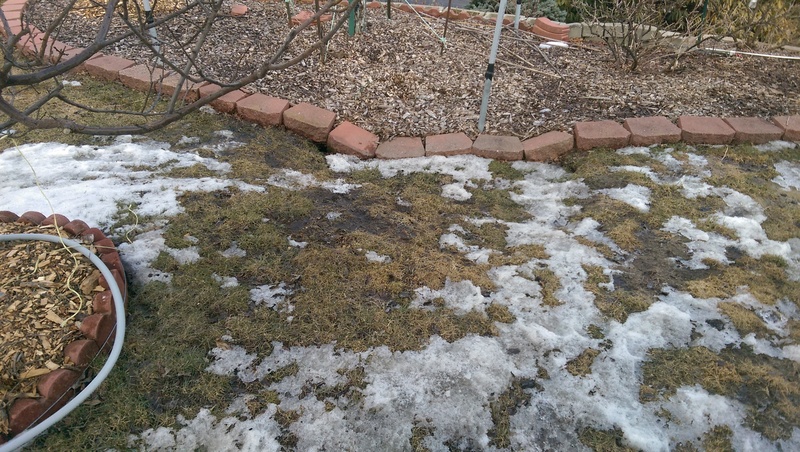 I can tell you more - my yard is sinking down . With last year very wet fall I noticed that part of the lawn right between my plum and apricot (both on hills) sunk for about 8-10 inches. My yard is raised, they filled the hole with big and small rocks and dirt. 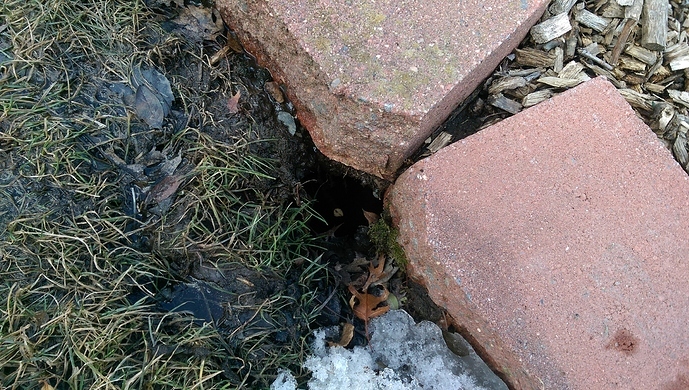 So I thought dirt between rocks liquidized and filled some empty pocket, and grass sunk in… Now I also see a hole about 6 inches in diameter where water from the yard is going… I have no idea where all this water goes- I do not see any obvious outlets for it on my border, where raised part ends. I used a bamboo stick about 5’ long - I can push it all the way in that hole. Do not fill any dirt on the way, just large rocks… Big project fixing it up coming up this summer. Don’t even know what to start with. There is no way to move the rocks to fill pockets properly. So I guess we will have to use sand and a lot of water to sink the sand down the hole and fill the pockets. No, my quince doesnt get those gorgeous red flowers! I have seen those though, and they sure are beautiful. I believe those are flowering quince, scientific name Chaenomeles Japonica. Fruiting quince is Cydonia Oblanga. The flowers on the quince tree look just like your typical white apple blossom. 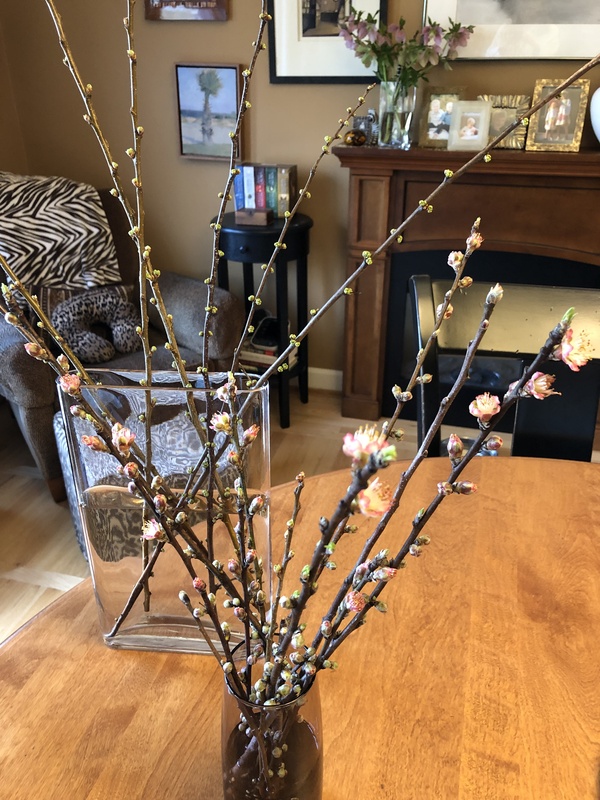 I have only had mine for one year, this was its first winter but when it arrived from One Green World it was leafed out and had buds all over it! So i probably should have picked them all off but i didn’t. It is pretty in bloom but nowhere near the flowering quince beauty. Your yard is so cute, i love the layout! Small yards done well give me inspiration. sorry you have a yard full of potholes though! That is frustrating. 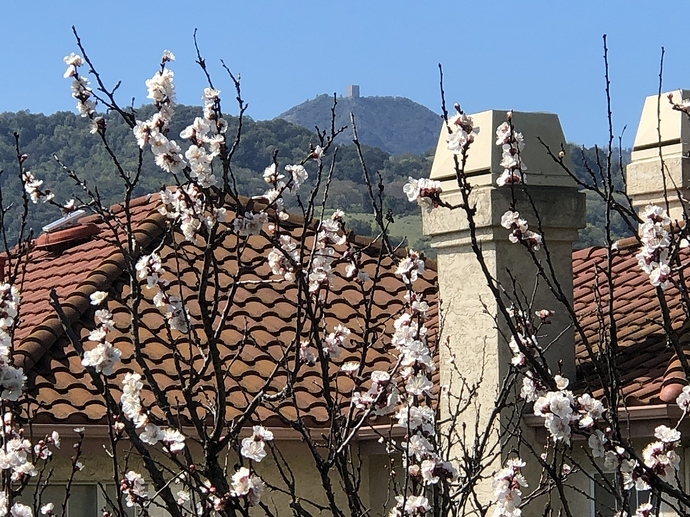 Apricot blossoms with Mt. Umunhum in the background. That building looked out for Soviet missiles during the cold war! That’s disturbing. Hope it won’t affect your house’s foundation!!! Which cot varieties you have in the new property?